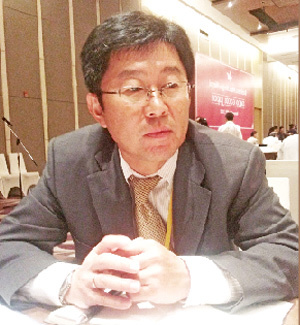 (VEN) - Vietnam Economic News’ Nguyen Huong interviewed Hiroshi Chishima, Deputy Chief Representative of the Japan External Trade Organization (JETRO) in Vietnam, at the ASEAN Caravan event that took place recently in Hanoi. How many Japanese companies are operating in Vietnam? How do they find the business and investment environment in the country? 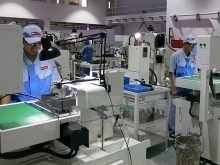 JETRO’s statistics show that about 2,000 Japanese companies are operating in Vietnam, and most of them are small to medium in size. Japanese companies highly appreciate the business environment in Vietnam. In their opinion, Vietnam is a potential market with a large, young population and high purchasing power. JETRO has carried out annual surveys to assess the business and investment environment in Vietnam. Compared with other countries in the region, Vietnam is an attractive market to foreign investors. Therefore, 70 percent of Japanese businesses in Vietnam want to expand their operations in the Vietnamese market. What are your views on the Vietnamese retail market? The Vietnamese retail market is vibrant with the presence of large foreign firms. Aeon, the largest Japanese retailer, recently inaugurated their third mall in Vietnam. The per-capita gross domestic product (GDP) is predicted to reach US$3,000 in Hanoi and US$5,000 in Ho Chi Minh City in the near future, promising big opportunities for Japanese retailers to do business in Vietnam. I believe the Vietnamese market will develop more strongly in the future and attract not only Japanese wholesalers but also those from other countries. What do you think of the Vietnamese government’s efforts to reform tax and customs procedures in recent times? Recent tax and customs reforms in Vietnam were commendable, creating more favorable conditions for Japanese companies in Vietnam. The Vietnam Automated Cargo and Port Consolidated System and the Vietnam Customs Information System (VNACCS/VCIS) have helped considerably reduce the time required to implement customs clearance procedures, saving money for businesses. However, Vietnam still lacks clear regulations on customs fees - this problem needs to be resolved as soon as possible to facilitate foreign investment in Vietnam. What do you think Vietnam should do to attract more Japanese investment? 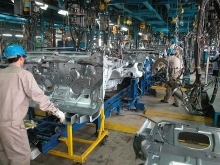 Japanese companies in Vietnam have faced difficulties due to complicated investment procedures and unclear regulations. Poor infrastructure is another factor hindering Japanese investment in Vietnam. Despite these difficulties, 70 percent of Japanese businesses in Vietnam want to expand their operations in the Vietnamese market. This means Vietnam is attractive to Japanese investors. Vietnam’s efforts to surmount these limitations and the positive impact of the Trans-Pacific Partnership Agreement will surely help it attract more investors from Japan and other countries in the future. ASEAN Caravan is one of the events organized by JETRO since 2012 with the aim to help Japanese small and medium enterprises (SOEs) sell high quality products in ASEAN countries. This year, 35 reputable Japanese SOEs participated in the event to seek trade opportunities with about 200 Vietnamese businesses.